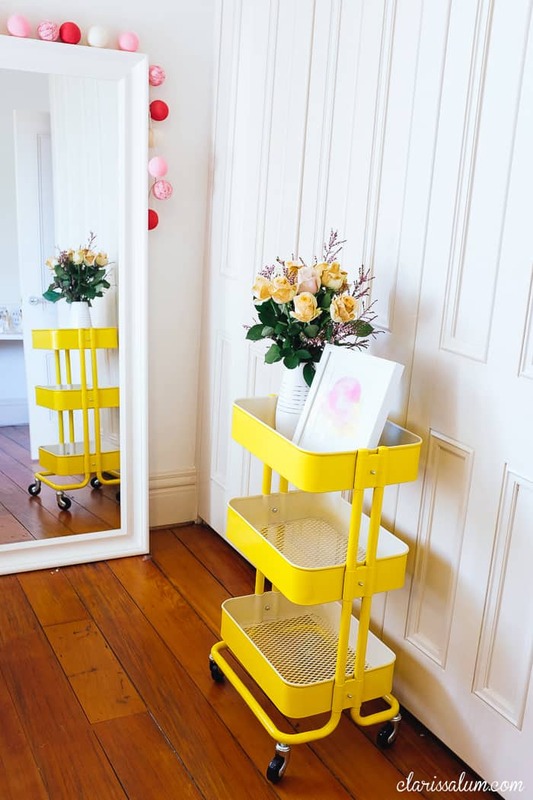 I put an amazon link because our closest Ikea isn’t close…so it’s cheaper for me to go the amazon route! 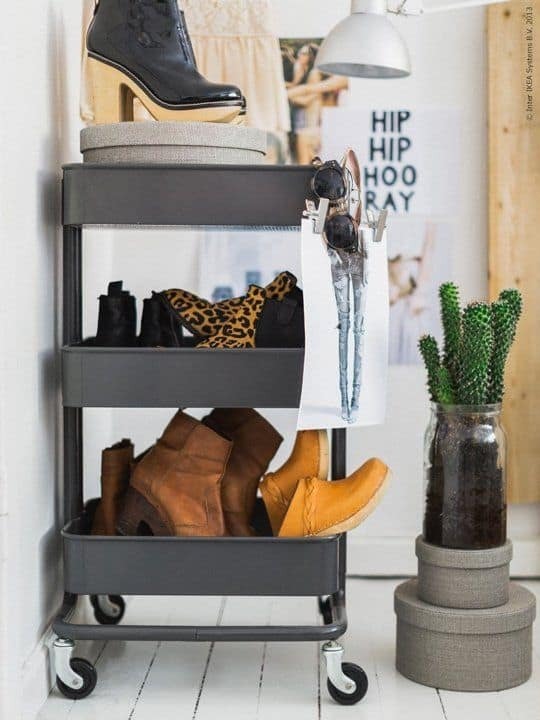 If you are close to Ikea it’s cheaper AT Ikea! 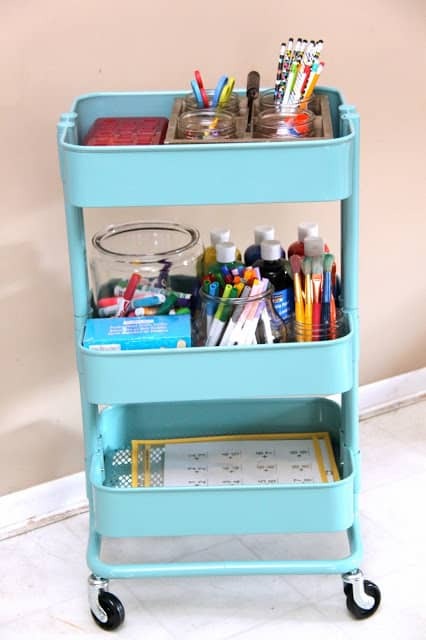 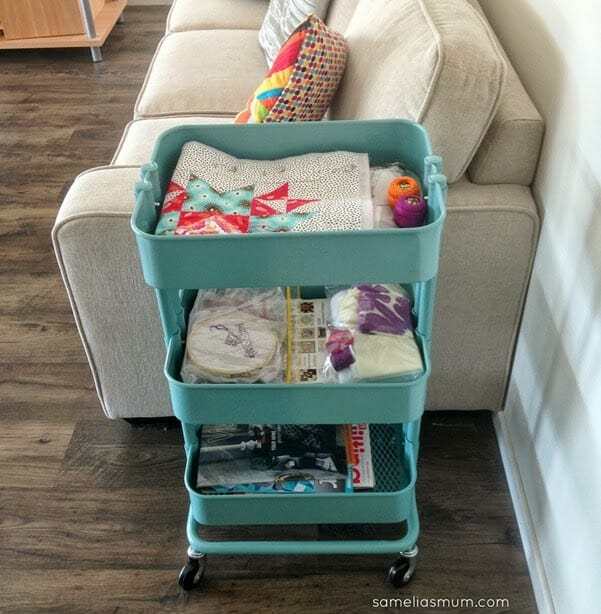 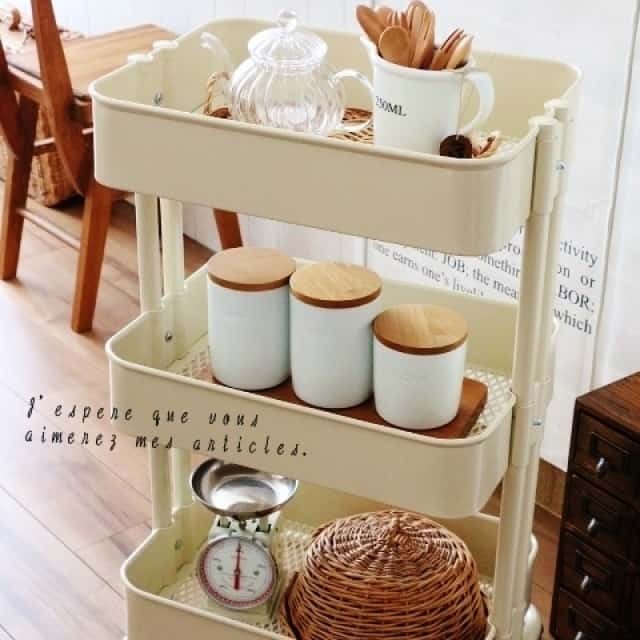 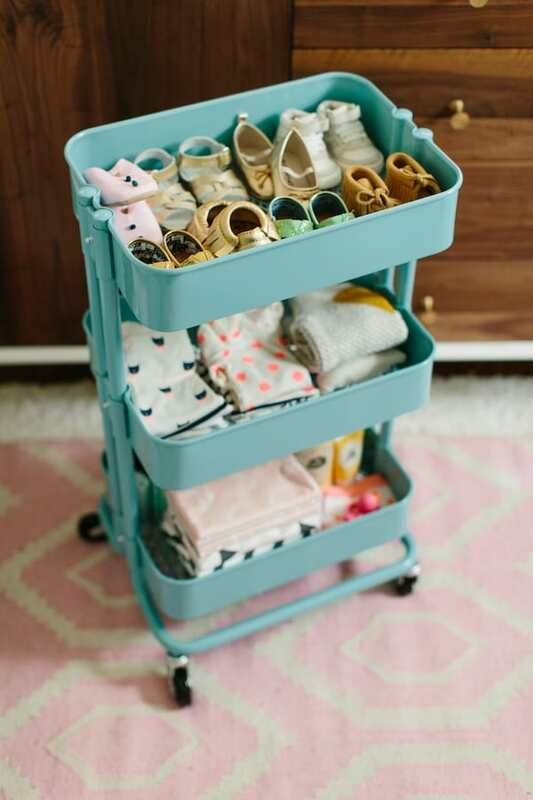 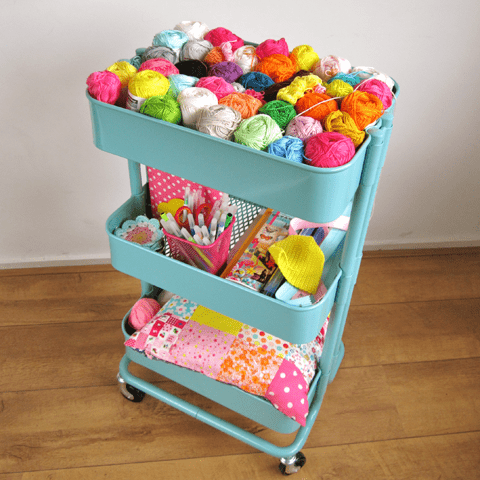 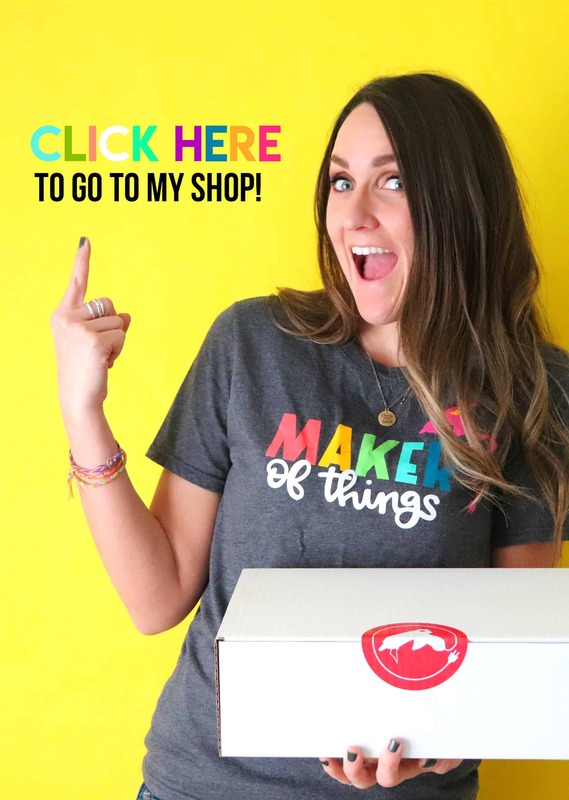 I have a craft room…but often like to spread out in the living room (because that is where the tv family is) So I thought one of these carts would be great…load it up with the supplies I need and wheel it from room to room. 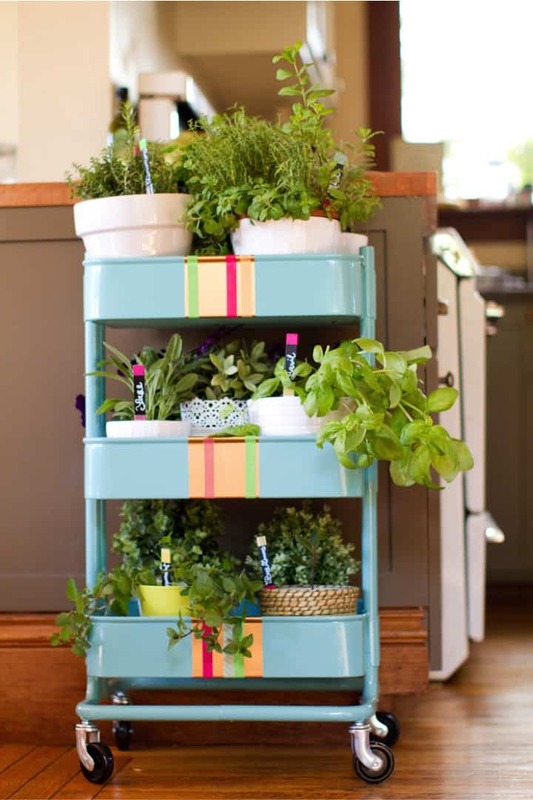 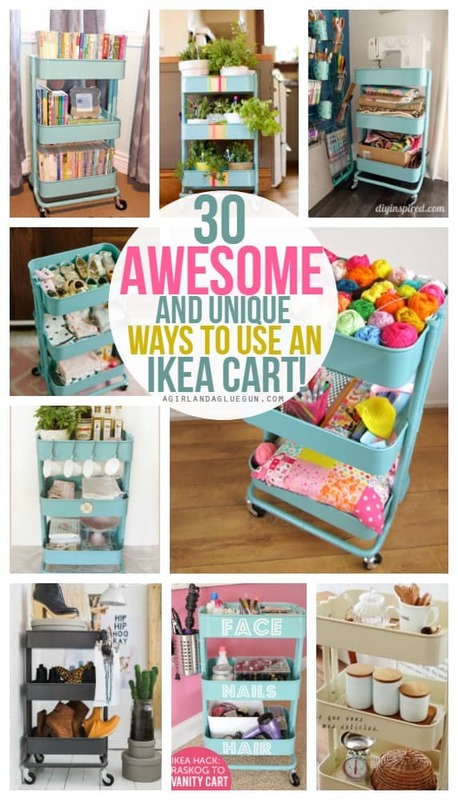 But as I was on pinterest I noticed that people have been using these cool carts in SO Many clever ways! 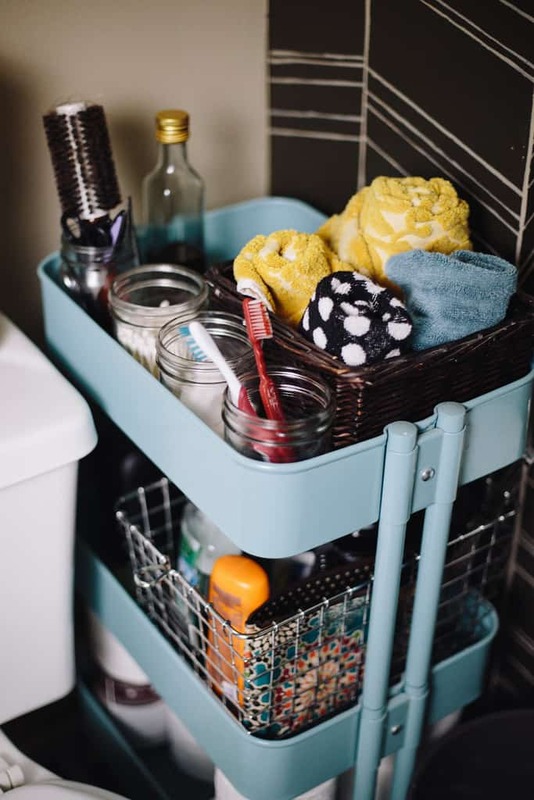 Use it as a cleaning station! 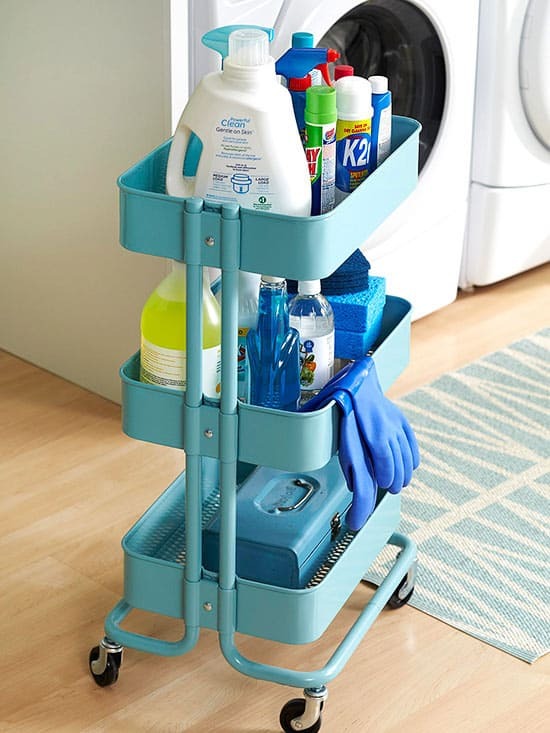 That way you can take it with you as you clean! 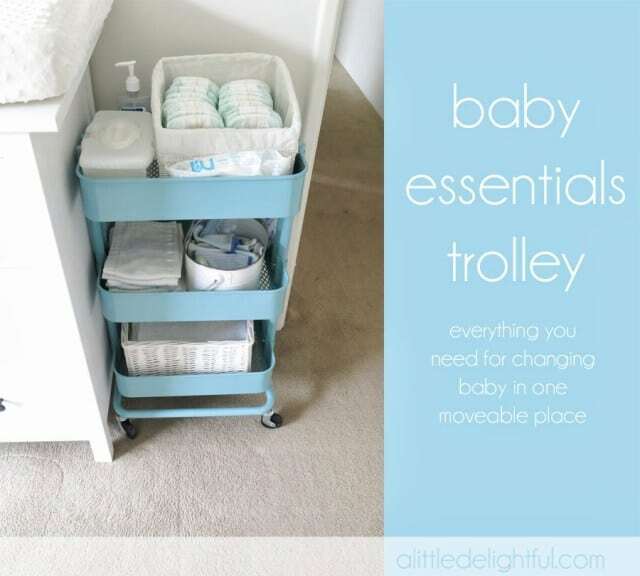 Or as a diaper changing station that you can tote from room to room! 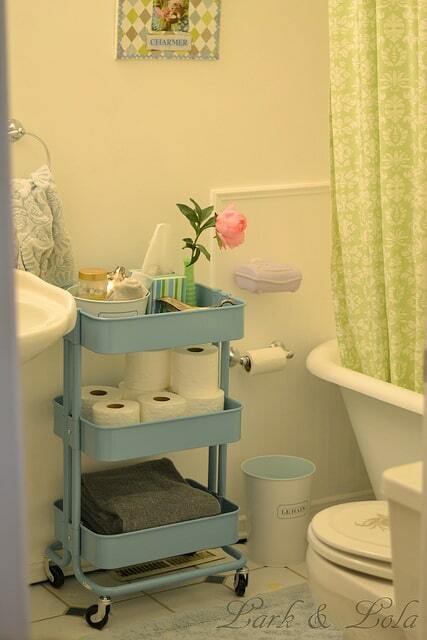 A perfect caddy for the bathroom–throw in some guest towels and toilet paper! 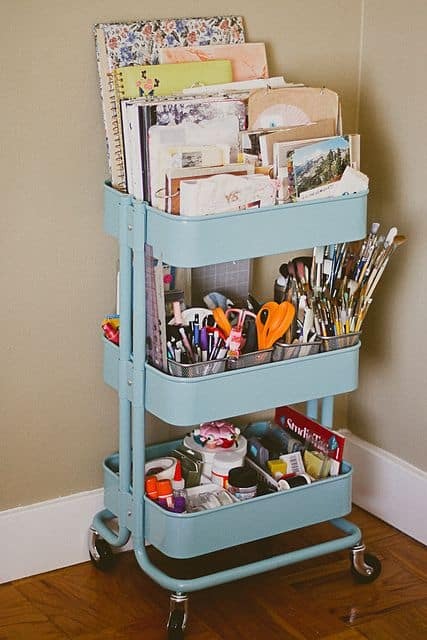 Or for when you have no counter space! 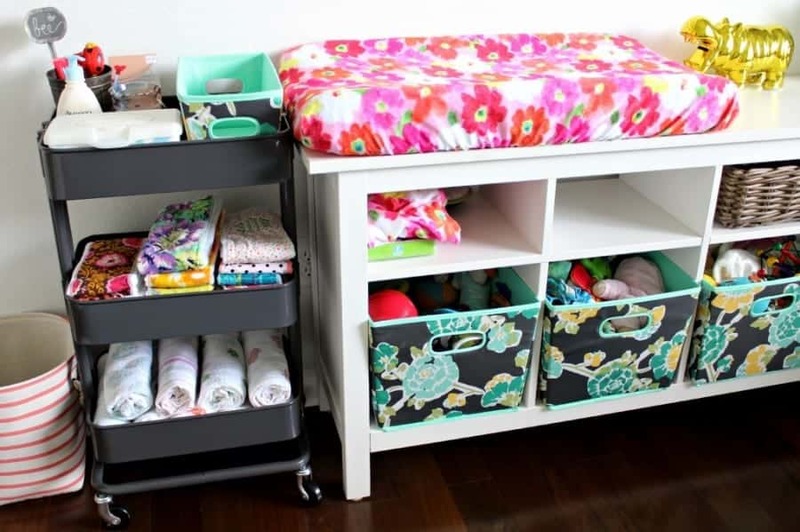 Great place for toy storage! 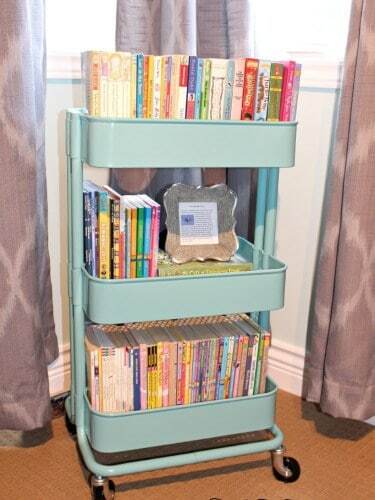 Or just books! 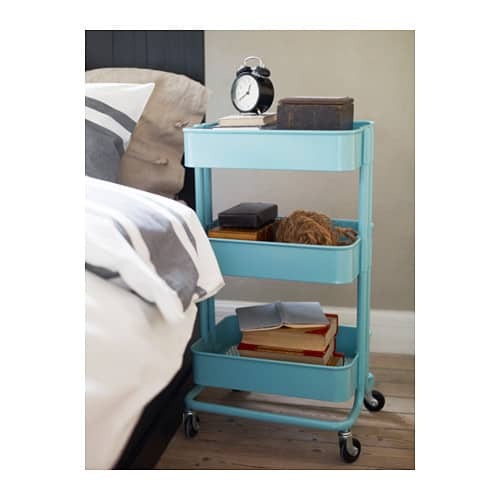 Keep it right by your bed! 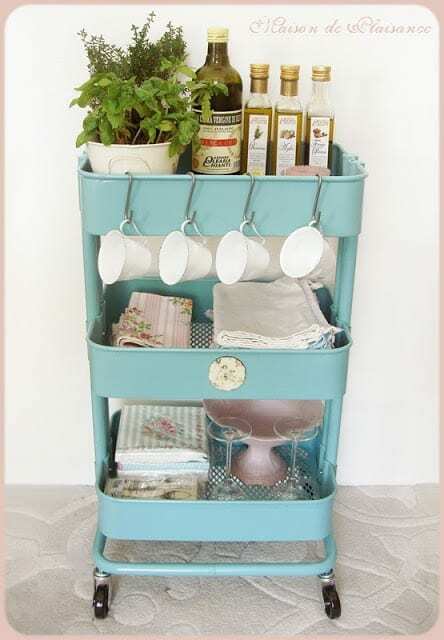 holds all those extra baking supplies! 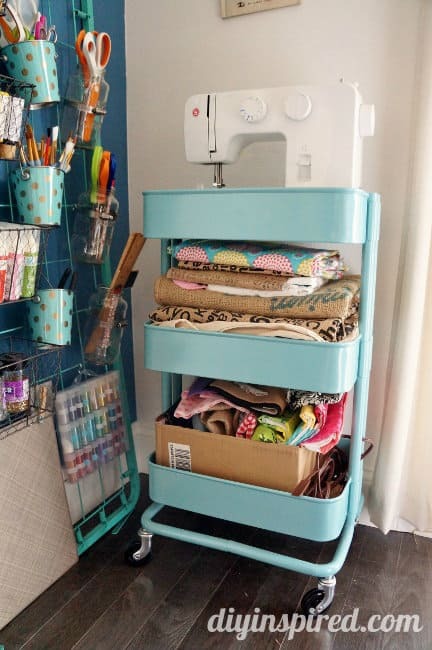 This sewing station is perfection! 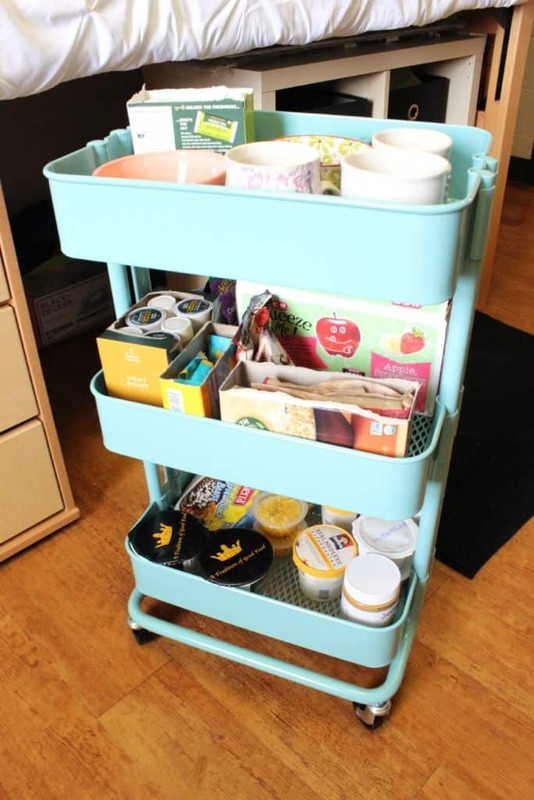 use it in a dorm room to hold all your treats! 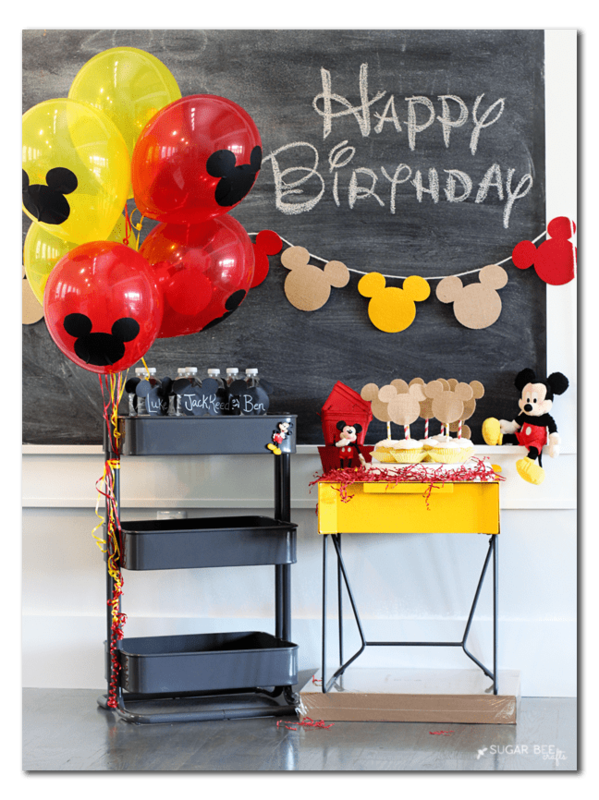 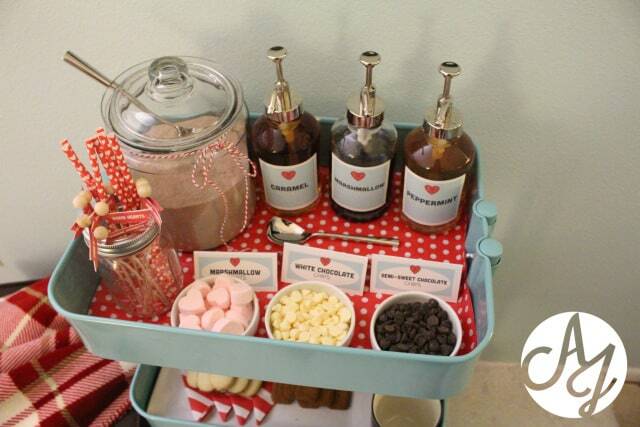 a Drink station–fun to roll into whatever room the party is in! 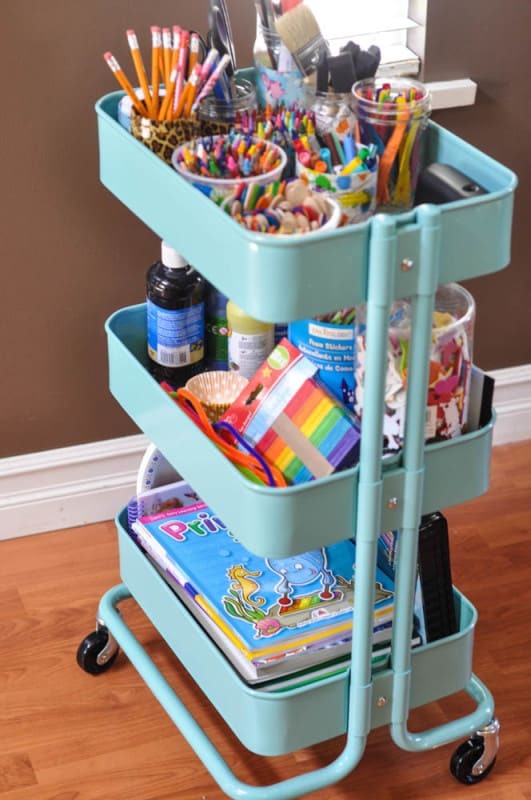 AND an art cart for adults!!! 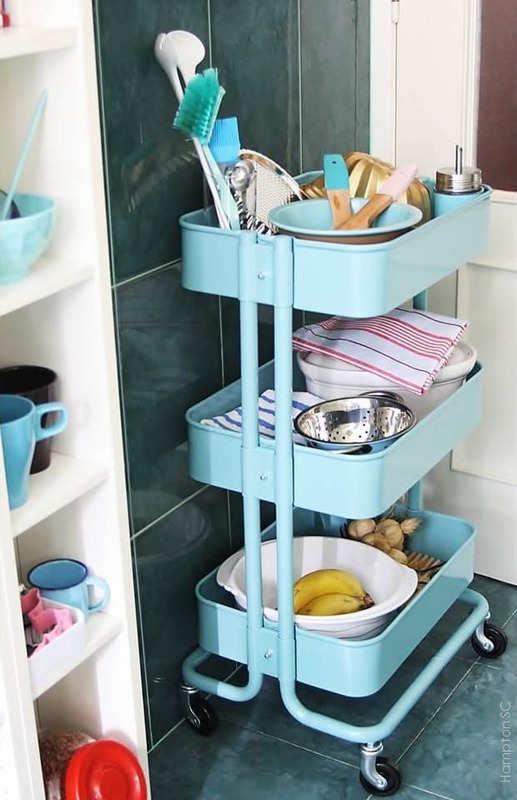 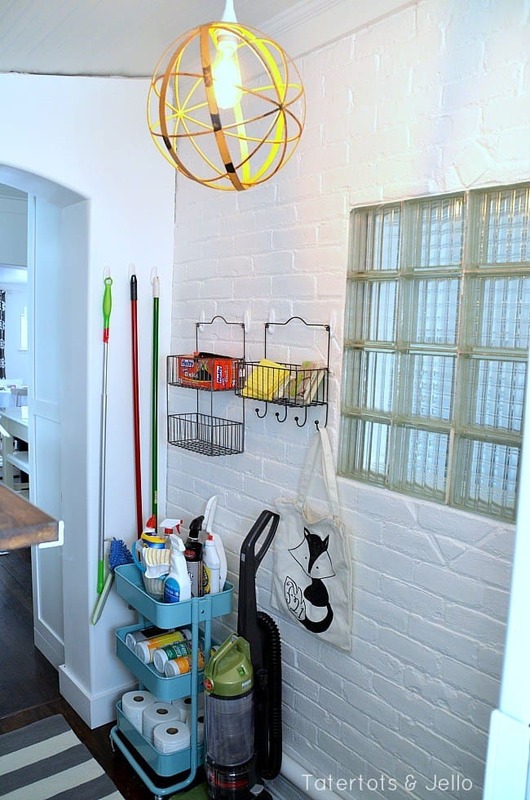 Need some extra storage in your laundry room?? 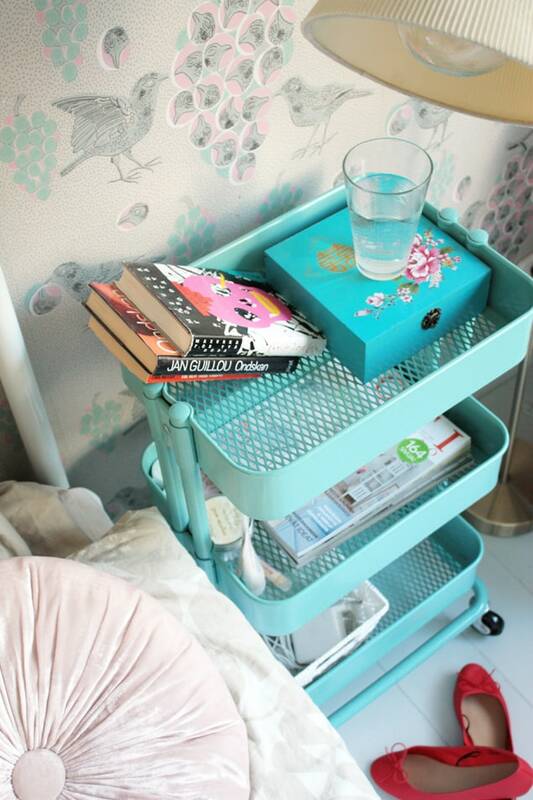 A perfect little side table! 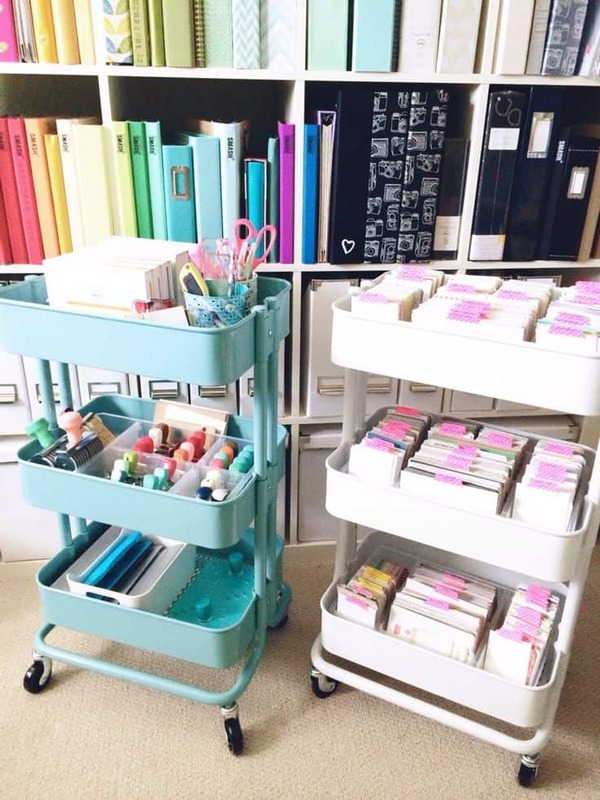 I think a gift wrapping station would look totes adorb with one of these carts! 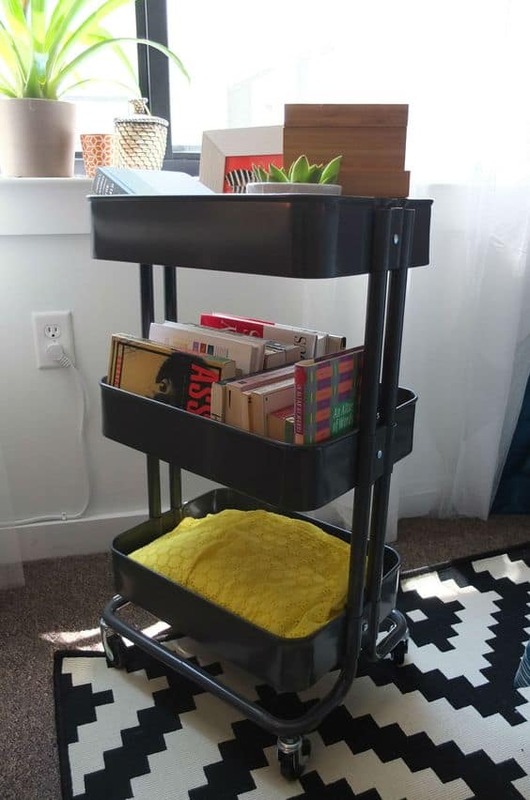 Or how about by your couch?? 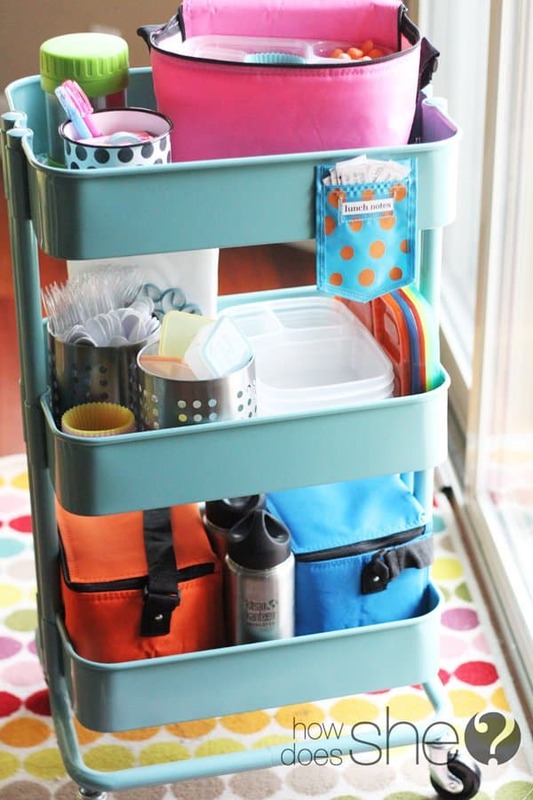 What about a lunch packing place! 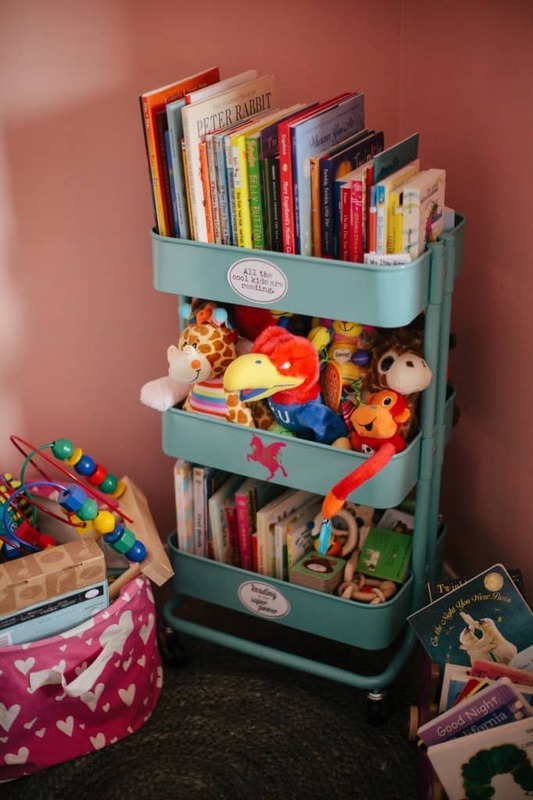 keeps Everything right where kids can find it! 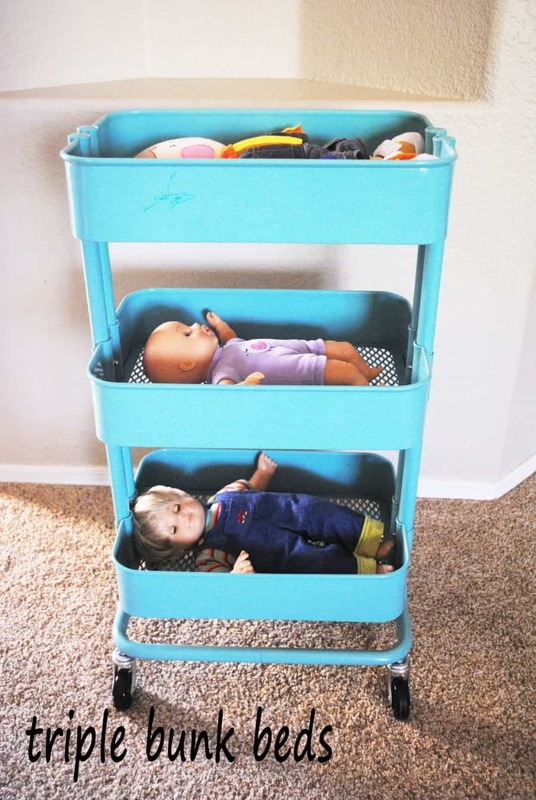 Even a bunk bed for the dolls! 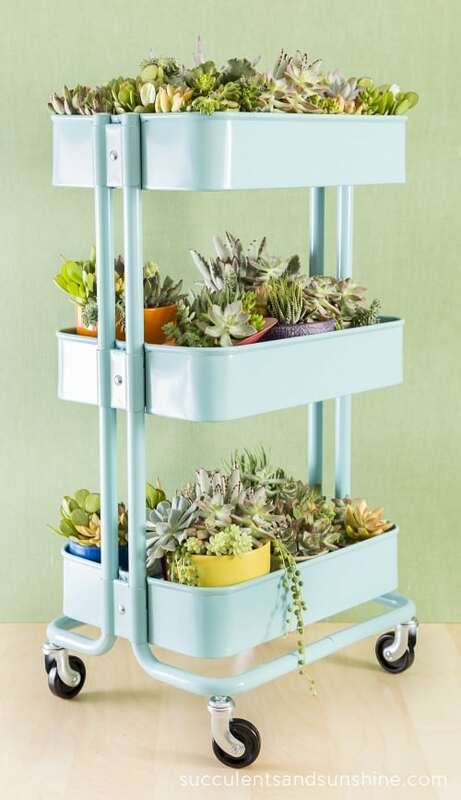 and if the colors aren’t your favorite…SPRAY PAINT it match your decor! 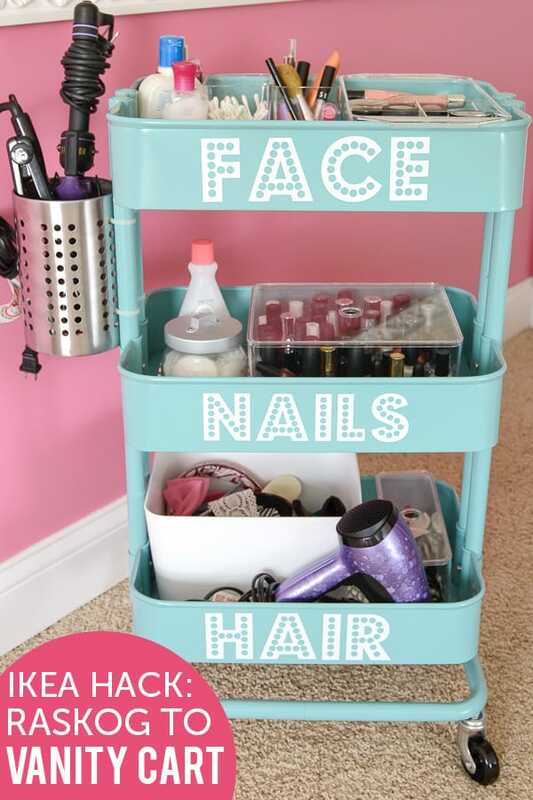 Head here for more fun organizing ideas!